Who knew that looking for a book could lead to the recording of a full-length album? 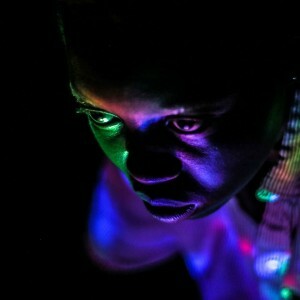 This was the experience of Tirelle Barron, a New York based artist currently in his fifth year at Northeastern University, majoring in Design. 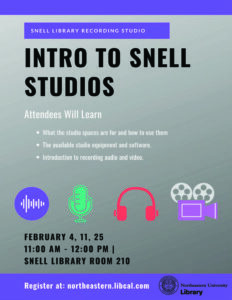 As Tirelle was perusing Snell Library, he walked into the Digital Media Commons Recording Studio, located on Level Two. 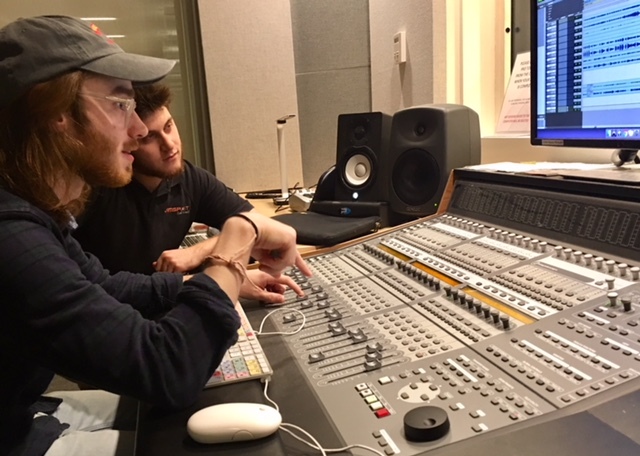 The studio’s laid back aesthetic and professional grade equipment immediately clicked with Barron, leading him to record his Fourth studio album “Blossom” in its entirety at Snell Library. 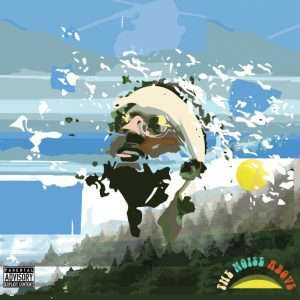 Tirelle’s studio moniker—“The Noise Above”—reflects his eclectic taste in music and a drive to remap the sonic boundaries of the traditional three-and-a-half-minute track. But he somehow finds a way to keep it all in perspective “I do it just to have fun,” choosing not to focus on the glamor and relishing the grind. Barron’s influences run the gamut, from soul legend Stevie Wonder and avant-garde jazz composer Sun Ra, to hip-hop superstar Pharell Williams and rapper Kanye West. 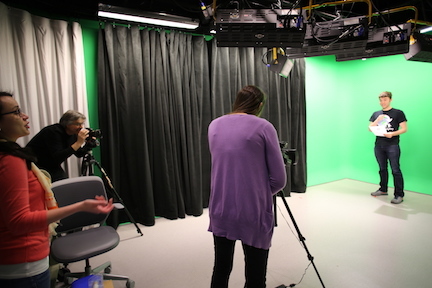 In addition to providing the right vibes for “Blossom” to be created, the Digital Media Commons Recording Studio also showcases one of Barron’s music videos, “Kaleidoscope” on their digital exhibit page. 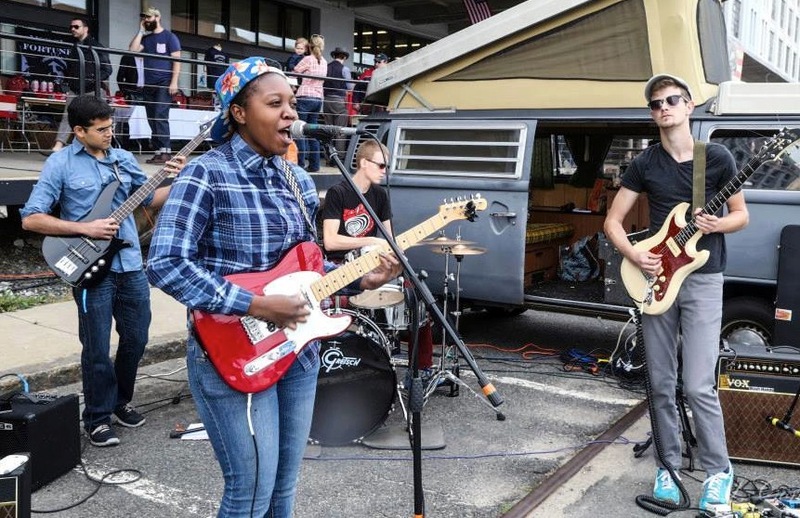 Here’s the deal: Anjimile, an indie band from Boston, is raising money for their first ever full-length album, Human Nature. It’s always been their dream to release a a full-fledged studio album, but now they need the help of fellow musicians, indie fans, kind-hearted souls… anyone, really, to fund a campaign with this pre-sale. In return, you’ll get a digital version of Human Nature and the chance to call yourself a true “Fanjimile”. So, what does this have to do with the library? 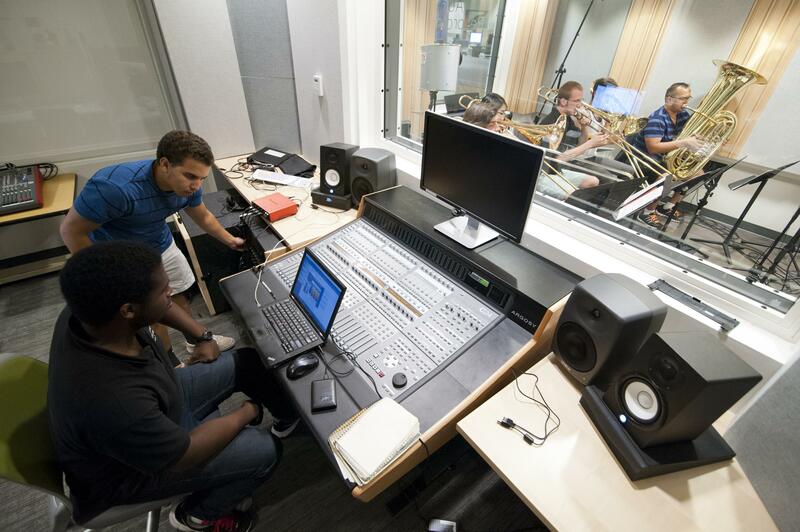 Human Nature has musical features that were recorded in the Digital Media Commons (DMC) Audio Recording Studio at Snell Library. Anjimile has an in-home studio where the majority of their album was recorded. However, acquiring equipment and soundproofing the space requires spending a lot of time and a lot of money, which not everyone can do. Another option would be renting studio space somewhere in the city… yeah, right! Again, that requires a lot of time and a lot of money. 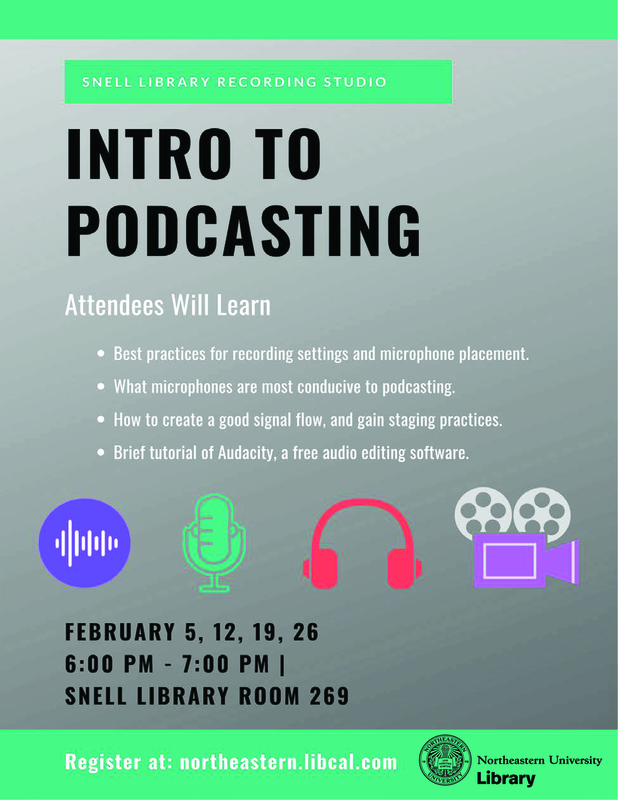 Finally, Northeastern does offer another audio recording studio in Shillman. Unfortunately, it’s only for music majors. It’s a no-brainer! 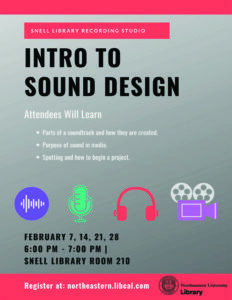 The DMC Audio Recording Studio is free, easy to book, and available to any student, faculty, or staff member at Northeastern. 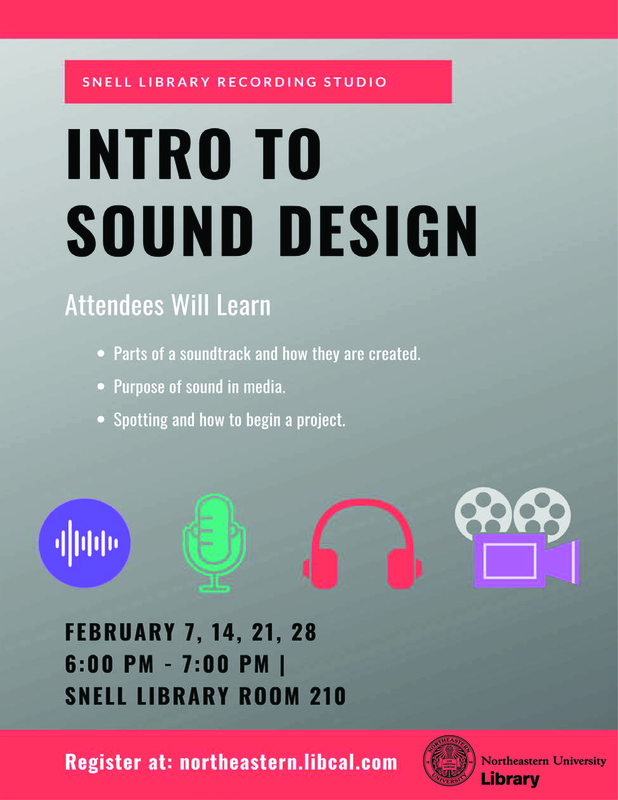 Book now and record or edit your own soundtrack! 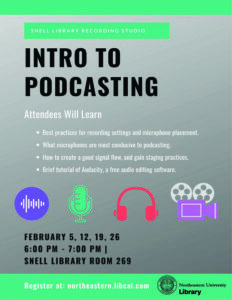 Or if you don’t have experience but are interested, check out the Audio Recording Workshop Series in April. In the meantime, show your support: help Anjimile raise money for their new album and check out their next show on March 21st at 8 pm at NU afterHOURS where they will be performing with Massachusetts-based, nationally renowned indie band Speedy Ortiz. 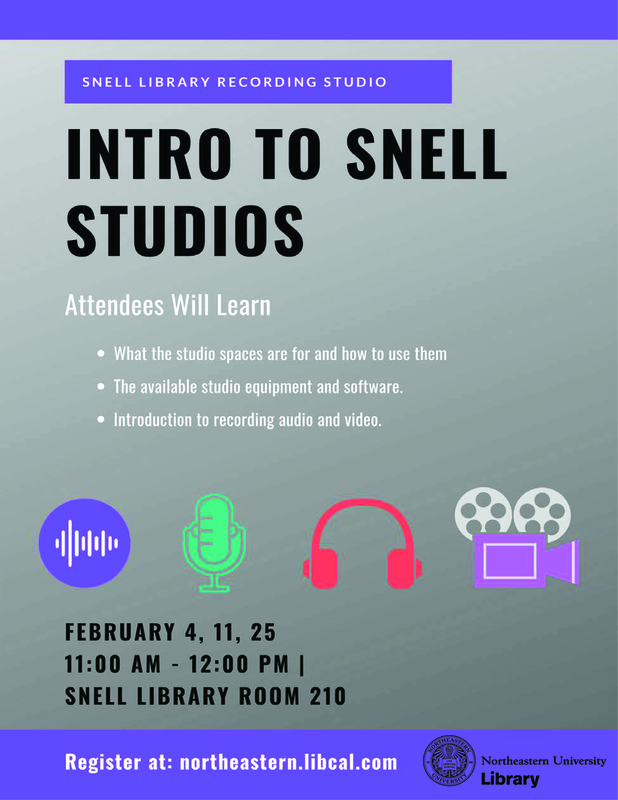 Basic audio and video recording rooms will be temporarily available on the first floor in while construction for an improved suite of studios are built for spring term. Reservations to use the temporary studios will be available through a new booking system. Multimedia workstations with a full suite of software are available in the Digital Media Commons. 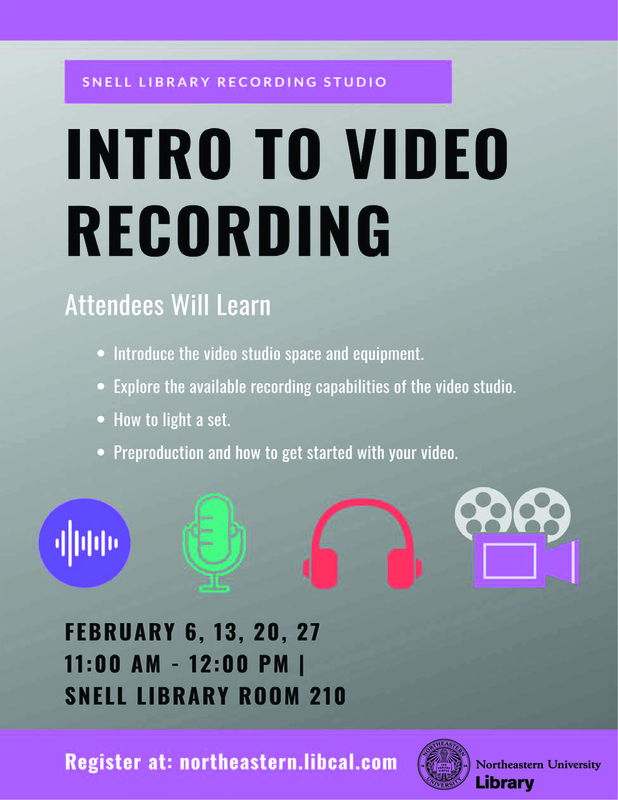 Media equipment, such as video and audio recorders, will be available for check-out from the new first floor Help & Information Desk. 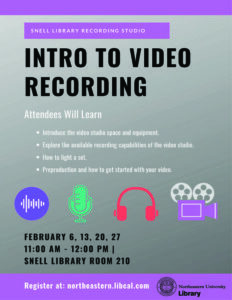 Instructional sessions, workshops and support for multimedia projects will continue to be available to you and your students, either in your classroom or library location, as appropriate. Learn more about instruction here. We will assist you with media reformatting, duplication and digitization requests, in partnership with Terry Beadle of Academic Technology Services. Unfortunately, we will not be able to assist with off-air recording requests during the fall.